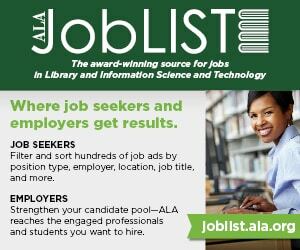 During the 2015 election year, the ALA Office for Research and Statistics tracked 88 library referenda across 21 states. More than three-quarters of the measures passed, with 69 wins and only 18 losses (an additional one was advisory). 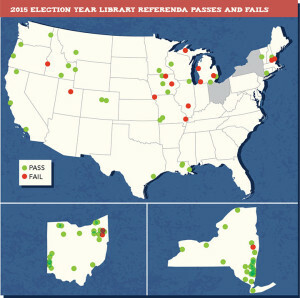 Ohio and New York showed their strong support of libraries by passing 20 and 23 referenda respectively. The amount of requested funding ranged from a $22 million bond for two new libraries and renovations in Spokane Valley, Washington, to a no-cost advisory referendum in Colfax, Wisconsin, to assess voter preferences for its library facility. The Spokane Valley bond failed narrowly, with 57% of the 60% required voters saying yes. Colfax voters preferred to keep their library in the existing municipal building (63 votes); however, village officials will make the final decision. Other options under consideration include renovating and expanding the existing village hall basement (41 votes), building a standalone library (40 votes), or building a new combination library, village administration, and police facility (32 votes). Referenda funds are used to build new libraries, renovate existing facilities, and maintain library operations. In addition, the funds can provide opportunities to update technologies and expand collections and services to meet the changing needs of library patrons. San Francisco Public Library’s 14-year Branch Library Improvement Program (BLIP, see sidebar) and the newly passed referenda for Moffat Library of Washingtonville, New York, are examples of reinvesting, renewing, and reimagining public libraries. The San Francisco BLIP bond measure, passed in 2000, provided $106 million to build and refurbish 24 neighborhood branch libraries. A September 2015 impact study, Reinvesting and Renewing for the 21st Century: A Community and Economic Benefits Study of San Francisco’s Branch Library Improvement Program, showed that for every dollar invested in BLIP, San Francisco realized a return of between $5.19 and $9.11. Much of BLIP’s success is attributed to the library and the city using a long-term programmatic approach, rather than an incremental approach. Including community members in the planning stages ensured that branch libraries reflected local needs and interests. 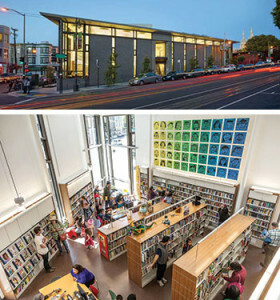 San Francisco Public Library’s new North Beach branch, which opened in May 2014, illustrates BLIP’s success. Without the improvement program, the branch could have closed due to insufficient space, seismic safety, and a lack of accessibility. The new LEED (Leadership in Energy and Environmental Design) Gold building is 40% larger, accessible, includes a teen room, and is adjacent to the Joe DiMaggio Playground—giving the branch some green space and providing community recreational facilities to complement the library’s commitment to learning. The residents of Washingtonville, New York, passed a $6.9 million bond that is allowing the community to renovate its Moffat Library, an 1887 historic landmark that was badly damaged by Hurricane Irene in 2011. 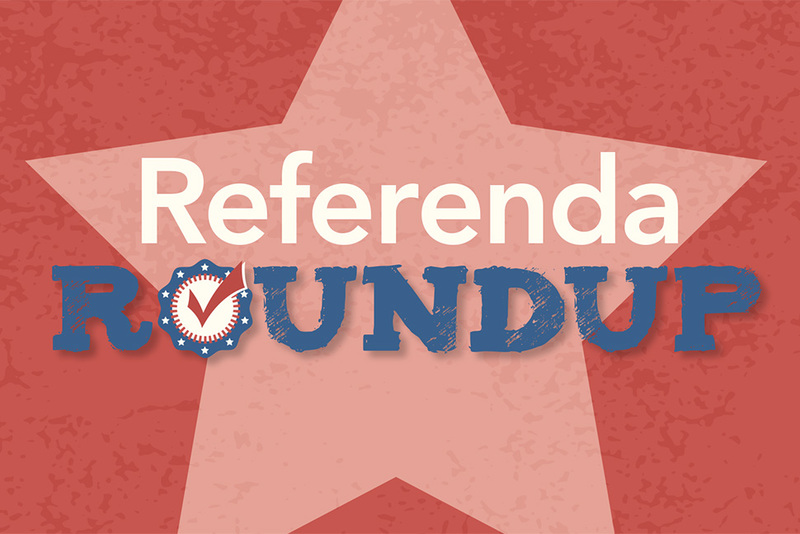 On March 3, 773 voters (71.7%) said yes and 289 voters (28.3%) said no to the bond. The renovations will include updated technologies, sustainable design features, and an open floor plan designed to maximize staff availability to library visitors. There will also be a children’s craft and program room, a local history room, a conference room for home office meetings or tutoring, a teen gathering area, a glassed-in area for adult readers, a kitchenette for event use, and a park-like landscape setting. Site construction has begun, and the renovated library is expected to open in September 2017. Voters approved Measure O, a sales tax increase, in Weed. While the tax will fund various municipal projects, priorities include senior services and the operations of the Weed branch of Siskiyou County Library. Of the 275 votes, 196 (71.3%) were for and 79 (28.7%) were against Measure O. 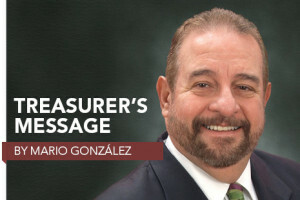 The current sales tax of 7.5% will increase by 0.25%, a one-cent tax increase on a sale of $4. In 2014, the State Equalization Board had overturned the passage of the same tax, then termed Measure J, because of language. A parcel tax partially funds the South Pasadena Public Library system. The tax, which generated about $230,000 per year, was set to expire in 2016. Voters said yes to Measure L, which will extend the tax by eight years and increase it based on property size. The votes cast by 1,455 voters resulted in 1,113 (76.5%) yes votes and 342 (23.5%) no votes. 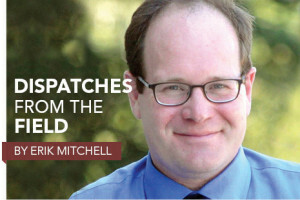 In California, parcel tax ballot measures require a two-thirds supermajority to pass. South San Francisco Public Library—along with city parks, street maintenance, and fire safety services—will benefit by the passage of Measure W. The current sales tax of 9% will increase by 0.5%. Consumers will pay an additional 10 cents when they spend $20 on items subject to the tax. The measure passed with 3,270 (61.5%) yes votes and 2,049 (38.5%) no votes in a turnout of 5,319 voters. Arapahoe Library District Ballot Issue 4A, which increases taxes by $6 million annually, drew 47,124 voters. The yes votes totaled 26,021 (55.2%) and the no votes came to 21,103 (44.8%). The mill levy will increase from 4.2 to 5.4 mills, which is about $2.39 per month for the owner of a $300,000 home. The money will fund additional staff, literacy programs, an updated book collection, and technology. Residents voted to increase funding for Jefferson County Public Library by around $8.86 million annually on Ballot Issue 1A. The mill levy increase (from 3.5 to 4.5) is the first since 1986. The tax increase is about 67 cents per $100,000 of home value. The 179,724 voters split the outcome with 95,391 (53.1%) yes votes and 84,333 (46.9%) no votes. The library will restore hours; update books, materials, and technology; renovate facilities; and improve service to the underserved. Oxford residents approved a $3.5 million bond issue to build a new public library. Of the 3,155 voters, 2,344 (3%) said yes and 811 (25.7%) said no. The building is expected to be completed in 2017. Features of the new 10,000-square-foot facility will include areas for children and adults, a room for programs, energy-efficient LED lighting, and space for expansion. The bond will be paid over a 20-year period. Burley Public Library won support for a two-year override levy of $250,000 per year ($500,000 total). The funds will be used for operations and maintenance. The 443 votes were split with 244 (55.1%) in favor and 199 (44.9%) against. Voters supported Valley of the Tetons Library in Victor with a win of 725 (69.9%) for and 312 (30.1%) against. Of the 1,037 voters, two-thirds were required to renew the library operating budget. The budget will be increased by $200,000 per year for a total of $450,000. The increase is targeted for the Driggs branch operating fund. A $59,000 levy increase was passed in the River East Library District in McHenry. The vote was divided by 130 (55.8%) for and 103 (44.2%) against the levy, for a total of 233 votes. Funds will be used to update technology, add video games and online resources, upgrade building and grounds, and keep the library open the same number of hours per week. The 1,458 active cardholders of Garner Public Library have been walking on carpet installed in 1977, when the building opened its doors. Voters recently passed a $400,000 bond to help fund renovations and an addition to the library. When added to existing funds, the library will have close to $1.1 million of the needed $1.56 million estimated cost. The 446 voters approved passage with 386 (86.5%) for and 60 (13.5%) against. The city required 60% approval for the bond to pass. In addition to new carpeting, library visitors will benefit from more space, a new roof, heating and air-conditioning improvements, and electrical upgrades. A drive-up book drop and a 1,834-square-foot addition will complete the project. The passage of Knoxville Public Measure B will provide $2.5 million for an ongoing renovation and expansion project. A 60% supermajority of the 1,011votes was required to pass the measure. There were 626 (61.9%) yes votes and 385 (38.1%) no votes. The additional space is needed to provide programs and house the collections and computers. In Phase 1, the library purchased the historic Dixie Cornell Gebhardt house next door. Phase 2 includes adding a one-story expansion on the west side of the library building. The estimated cost of the project is $4.5 million. Marshalltown Public Library will benefit from a property tax increase of 27 cents per $1,000 of taxable home value. Of the 1,779 voters, 950 (53.4%) voted yes and 829 (46.6%) voted no. The funding will be used to build the collection, provide programs, and update technology. Hours of operation will increase to seven days per week. East Baton Rouge Parish voters approved the renewal of an 11.1-mill, 10-year property tax. Voting results were 58.0% for and 42.0% against the tax. Plans for the funds include renovations of the Baker, Bluebonnet Regional, Central, Delmont Gardens, Greenwell Springs Regional, Jones Creek Regional, Scotlandville, and Zachary branches. Hurricane Katrina and the levee breaches destroyed six branches of New Orleans Public Library in 2005. Staff positions were reduced by 90%. 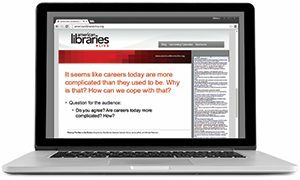 In 2015, voters decided to take a stand for the renewal and rebuilding of the library system. A 2.5-mill property tax was approved by 16,961 (74.7%) of the 22,700 voters; no votes amounted to 5,739 (25.3%). Funds are expected to total about $8.25 million annually. Troy Public Library and Adrian Public Library found success at the polls. Troy voters totaled 11,925, with 8,433 (70.7%) for and 3,492 (29.3%) against. The Adrian voter total was 1,187, with 723 (60.9%) for and 464 (39.1%) against. Polk County voters said yes to their first library levy increase since 1948. The increase of a 10-mill rate to 25 mills was voted on by 3,267 residents. There were 1,889 (57.8%) votes of approval and 1,378 (42.2%) votes against the measure. In Belgrade, a mill levy for $424,820 passed. The funds will be shared among the library, the fire department, and the police department. The voter total was 1,322, with 870 (65.8%) yes votes and 452 (34.2%) no votes. The levy for Gilmanton Year-Round Library passed with 548 (54.7%) of the 1,002 voters saying yes. Votes against the measure totaled 454 (45.3%). The $45,000 will go toward the library operating budget. In New York, voters turned out in numbers ranging from 174 in Gloversville (population 15,315) to 8,637 in Poughkeepsie (population 30,639) to vote on measures to fund public libraries. Increases in funding ranged from about $4,142 to $84,000. Tax levy percentages ranged from about 1.4% to 3.54%. *Beaver Falls and Croghan libraries are part of the $17.3 million Beaver Falls budget, passed with 74.7% for, 25.3% against. Ohioans rallied for libraries at the polls with numbers ranging from 23,247 voters in Akron–Summit County Library District (population 377,588) to 516 voters in Liberty Center (population 1,170). About 152,750 voters turned out to vote for or against levies that were primarily renewals of existing taxes. Voters approved a $2.7 million a year, five-year property tax levy for Eugene Public Library. Currently, the Bethel and Sheldon branches are open 26 hours a week. The levy will provide funds to keep the branches open an additional 22 hours a week and restore three hours of service on Sunday mornings at the main library. The 34,658 votes were split between 18,294 (52.8%) yes and 16,364 (47.2%) no. A replacement levy for the Washington County Cooperative Library Services passed, which will maintain and increase countywide library services at a new tax rate of 22 cents per $1,000 of assessed value. The first-year amount levied will be approximately $12.7 million. Voter turnout was 72,554, resulting in 45,761 (63.1%) for and 26,793 (36.9%) against the measure. Fort Bend County bonds in the amount of $19.8 million were approved by 33,787 (69.9%) voters in November. Naysayers included 14,536 (30.1%) of the 48,323 voters. Fort Bend County Library will purchase land, build new facilities, and renovate existing facilities. In addition to the main George Memorial Library, branches include Albert George, Bob Lutts Fulshear/Simonton, Cinco Ranch, First Colony, Fort Bend County Law Library, Mamie George, Missouri City, Sienna, Sugar Land, and University. With the success of a $498,000 bond, Poultney Public Library plans to expand the library and make repairs to the building and grounds. The vote was 387 (70.6%) for and 161 (29.4%) against, a total of 548 votes. KATHY ROSA is director of ALA’s Office for Research and Statistics, which provides leadership and expert advice to ALA staff, members, and the public on all matters related to research and statistics about libraries, librarians, and other staff; represents the Association to federal agencies on these issues; and initiates projects needed to expand the knowledge base of the field through research and the collection of useful statistics.